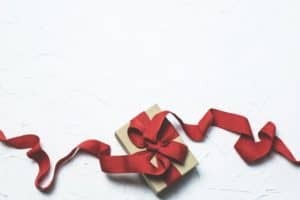 Cooking for two can sometimes be challenging – as a couple with no kids, you might feel that you don’t have the extra time to go grocery shopping and to cook fresh homemade meals. As a couple you no doubt have a busy life. Whether it be juggling career goals, trying to stay fit, maintaining a hectic social life and extended family responsibilities, it means that life is busy. Often the thought of coming home at the end of a long day and cooking a healthy meal can end up being quite daunting. Finding the time to cook homemade healthy and warm dinners can be the last thing you want to do! Thank god there are amazing meal kit delivery services for couples! It is not a dream – farm-fresh ingredients and beautifully designed recipes can arrive at your door every week! Home Chef is all about great classic home cooking, using farm fresh ingredients. It is most suitable for couples who are pressed for time but still would love to have great home cooked, super delicious meals that take no longer than 30 minutes to prepare! With their new “Customize It” feature, you can swap proteins, upgrade to a higher quality cut of meat or even double the amount of protein in select meals with the “Customize It” logo. The Home Chef weekly menu offers 18 weekly meal choices including vegetarian options, 5 minutes lunches, and lovely add-ons like a seasonal fruit basket and a smoothie. Delivers to: 98% of the US. Sun Basket makes healthy cooking so achievable! They offer all organic and sustainably sourced ingredients & delicious recipes that are delivered weekly. Sun Basket has the option of a Classic Couples Plan, which includes 3 meals to choose from out of 18 different choices every week. These choices include some interesting and creative, fresh and healthy recipes, with seasonal and all organic produce. Some of the choices include plant-based proteins, and Sun Basket house-made signature sauces. 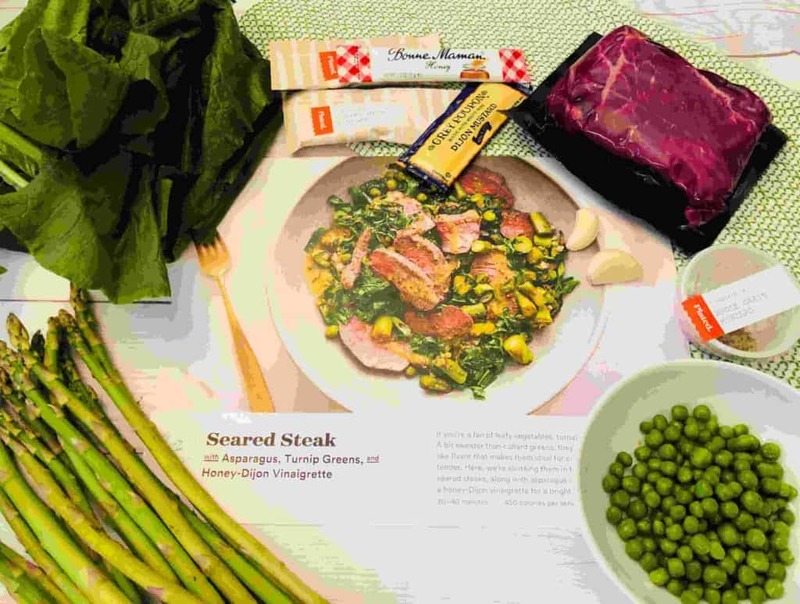 Plated boasts flexible subscription terms. They have a choice of 20 professionally designed recipes weekly as part of their Classic Plan for couples. As a bonus, there is also the option of two delicious desserts every week! As there is so much variety on the menu, there is a huge range of options for you to choose from. If you are a novice in the kitchen, you can choose from simple dishes that take no longer than 20 minutes to prepare. If you have a little more experience and like the idea of being adventurous, then there are also recipes that are akin to a culinary adventure. With these, you will be thinking that you are dining out in a restaurant. Vegetarians, carnivores, low-carb, low calorie and even dessert lovers are all catered for. Anyone can find meals they love when using Plated. Delivers to: All 48 continental states in the US. 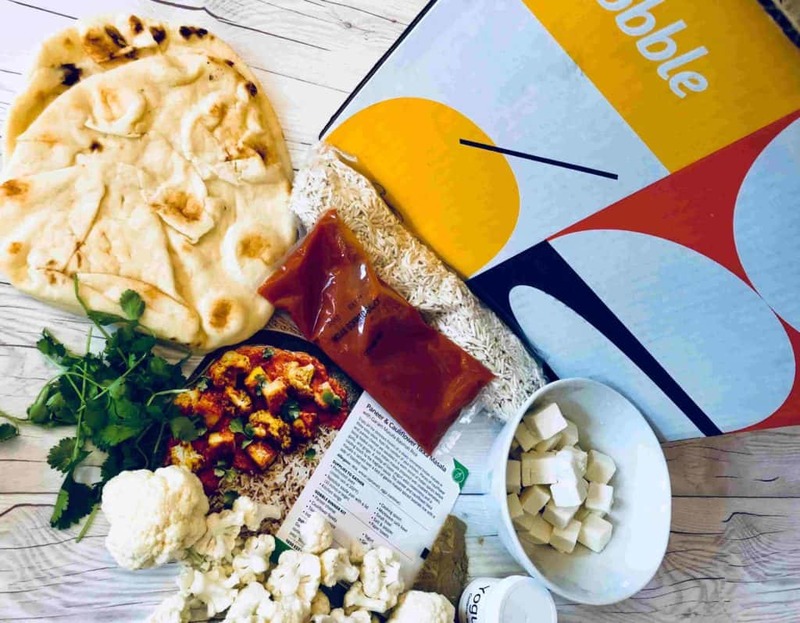 Gobble creates restaurant quality food that couples would love to enjoy at home. 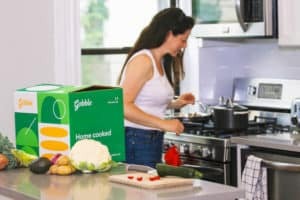 With Gobble, convenience is a priority and all their meals can be ready in only 15 minutes!! The Gobble weekly menu includes some great meals from four different sections – from the range, from the ranch, from the sea, and from the earth (read our full Gobble experience here). 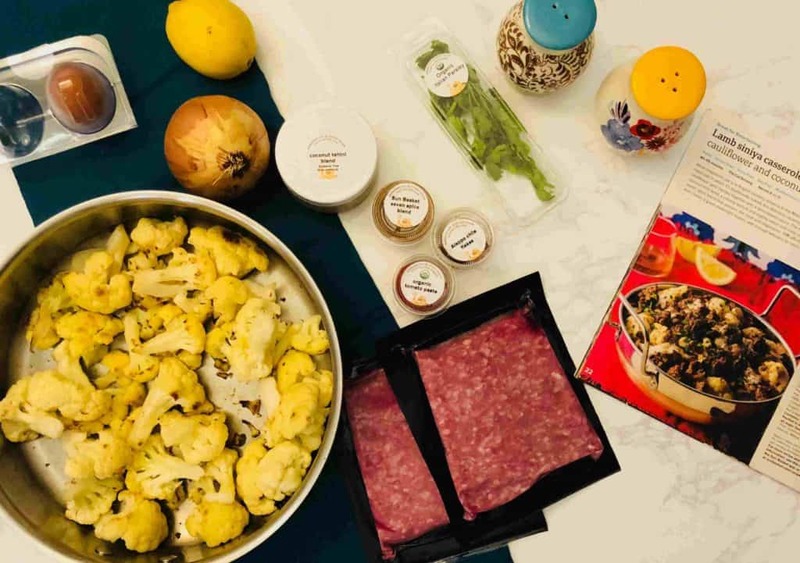 To sum it up, Gobble is a great meal kit service to use if you want life to be super easy as they provide delicious homemade dinners that can be ready in the shortest amount of time possible. No grocery shopping or ingredient preparation is required! With Martha & Marley spoon you get the privilege of cooking Martha Stewart’s best recipes – Classic home cooking at its best! 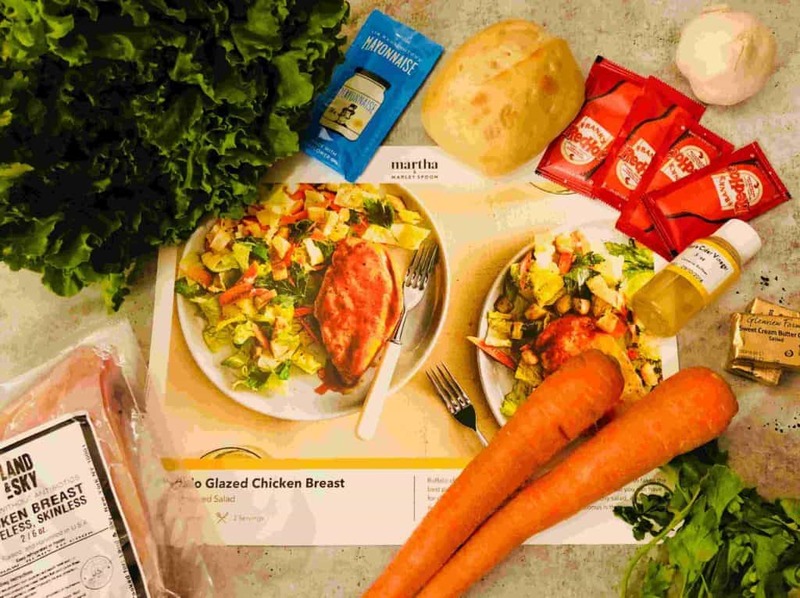 Martha and Marley Spoon Meal kits are most appealing to couples and families with kids. Martha & Marley Spoon is the meal kit delivery service company of the known home cooking person in America- Martha Stewart. Martha & Marley Spoon offers 10 weekly recipes for you to choose from, among them you can find some vegetarian, dairy free, low calories and quick recipes, all with an amazing quality of ingredients and extra focus on bringing fresh vegetables to your dinner table. As you can see, there is a large variety of meal kit services that offer a great range of choice when it comes to plans for couples. Some of them offer more classic home cooking and some provide more of a challenge. 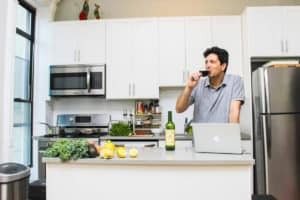 In my opinion, it is best to experiment with a few of the different services for you to decide as to which is the best meal kit company for you. Regardless, using a meal kit delivery service will save you time on grocery shopping and remove the headache when trying to plan your weekly menus. 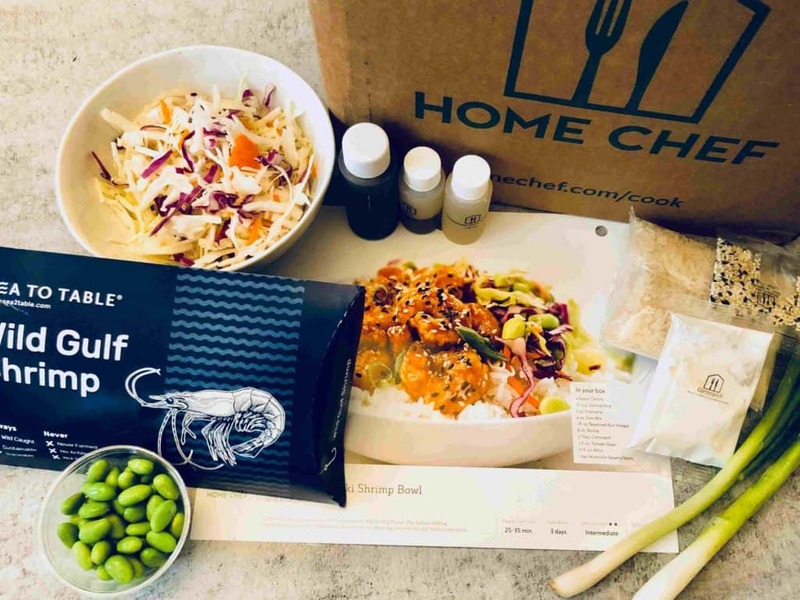 In terms of saving time and making meal preparations easier, meal kit delivery services are ideal for couples, so you might as well start using them right away!